Somehow amazing. First time I (Max) saw the Morancy logo I knew there was something strange going on – and today we report about it. If you look at the Morancy logo, the cognac connaisseur will notice something immeadetly. But wait! Isn’t there a slight wind of… something? Well, that’s a matter of interpretation I guess. Let’s have a look at this. And always remember: It’s just an opinion. I really think this sort of interesting: Looking at the packaging at the Morancy Paradis Extra Grande Champagne, I noticed another thing. 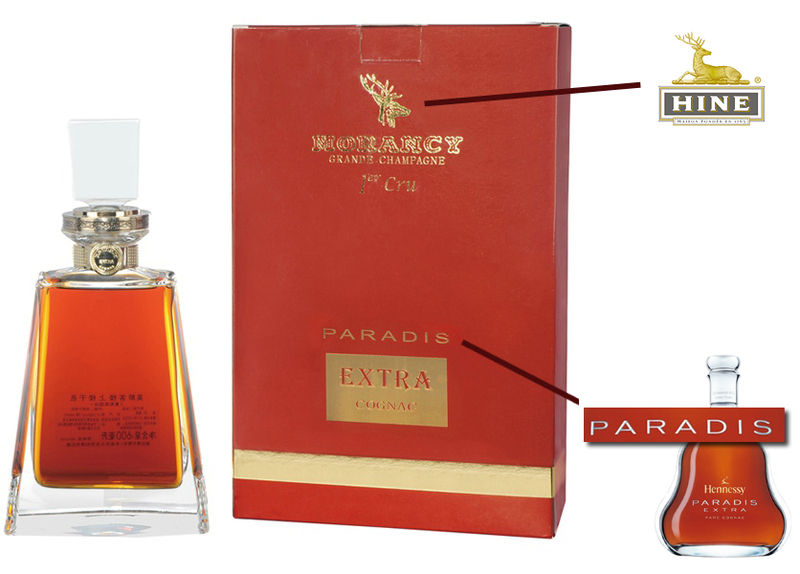 The font of ‘Paradis’ really reminded me of something else, exactly, it’s noone else than Hennessy Paradis Extra! (Please note: This packaging does no longer exist we learned). If you compare the bottle, the font looks exactly the same to me: It’s not only the same font, but it almost seems as if Morancy tries to copy the font. They could have picked lots of different fonts, given that we have lots of different fonts on the packaging: 1 (Morancy), Grande Champagne (that’s number 2) , 1er Cru is another different font, Paradis (what a coincidence! Number 3).. then “Extra” ANOTHER font (wow, and that’s a standard windows font, number 4), finishing off with which seems to be Times New Roman, that’s number 5: Five different fonts. We think this wasn’t a coincidence: Of course Hennessy is very well known, especially the upper premium products; HINE‘s deer is also well know in China. By the way: This specific product is no longer on the market. “We received the official document from the french court, to make official and legal the creation of the Morancy Brand. So it’s not the case that Morancy was created for the Chinese market. 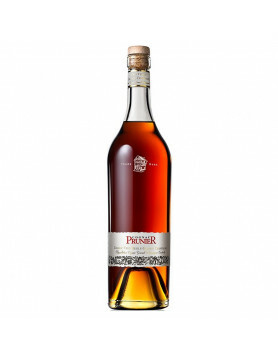 The brand was actually created in France, for and by a French Cognac house (even when the brand was originally created for BRANDY and EAUX-DE-VIE, not for Cognac – that’s probably a difference). It is true, the responsible business men behind Morancy are not to blame. Regarding the mention “Paradis” on the packaging, it was already removed from all of Morancy’s packaging, that was on old collection. 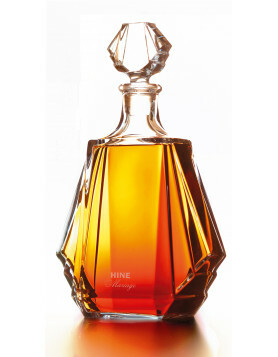 It is true that if one pays attention to all the different brands of Cognac one will find similarities between brands, bottles etc.